Steiff Club Annual Edition 2011, Grey ?? Made of the finest mohair and stuffed with synthetic material. Color: grey. 5-way jointed. With safety eyes. With gold-plated "Button-in-Ear". Production limited to the year 2011. Surface washable. Note: You must be a 2011 Steiff Club Member to purchase this item. 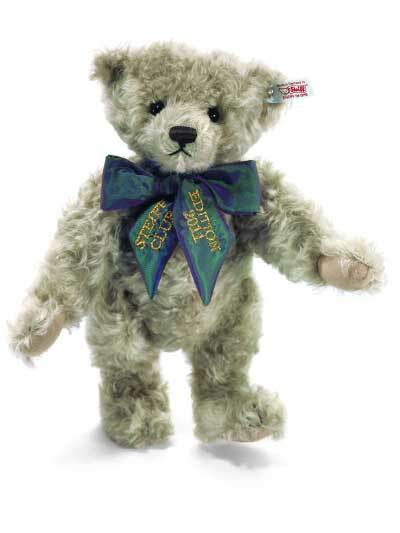 If you are not a 2011 Steiff Club Member, you can order your 2011 Steiff Club Kit through Carytown Dolls and Bears. If you are already a member for 2011, please let us know in the comments section. ? ?